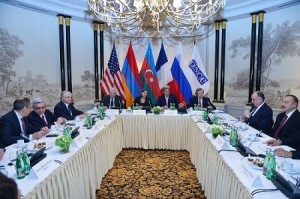 On May 16, Vienna hosted a series of meetings between the Presidents of Armenia and Azerbaijan with the Foreign Affairs Ministers of the U.S., Russia, France and the EU. Subsequently, Presidents of Armenia and Azerbaijan Serzh Sargsyan and Ilham Aliyev met each other in presence of the chiefs of Foreign Affairs Ministries of Russia and France, and the U.S. State Secretary. After the meeting, which lasted more than 3 hours, the co-chairs of the OSCE Minsk Group issued a statement. In view of this meeting it will be difficult for Azerbaijan to organize actions of aggression, as it was done in early April, says Konstantin Zatulin, head of the Institute of CIS countries. “The result of the meeting of presidents is the projected slowdown in the Karabakh conflict zone. All other results will be known until the next meeting,” told RUSARMINFO Konstantin Zatulin. 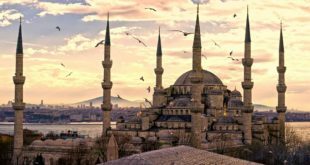 During the negotiations, finally, the trump card of the Armenian diplomacy played out, and Azerbaijan agreed to the creation of mechanisms for investigations at the line of contact, believes the expert. 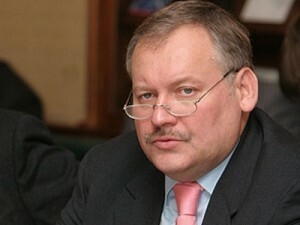 President Ilham Aliyev will have to punish himself,” noted Konstantin Zatulin. Despite Ilham Aliyev’s assurances over their commitment to continue the peace negotiation process, soon after the Vienna meeting on the Karabakh-Azerbaijani border a soldier of the NKR Defense Army was shot dead by Azeri snipers.